So I had a great trip to New York City last week, got some work done, saw some friends, saw some shows. One of the shows was “Chinglish”, which was really terrific, and (among other things) centered on American-Chinese relations and how our language barrier really gets in the way. I’ll post more on that later, but I mention it because it tied in nicely with another part of my trip – my visit with Molly! 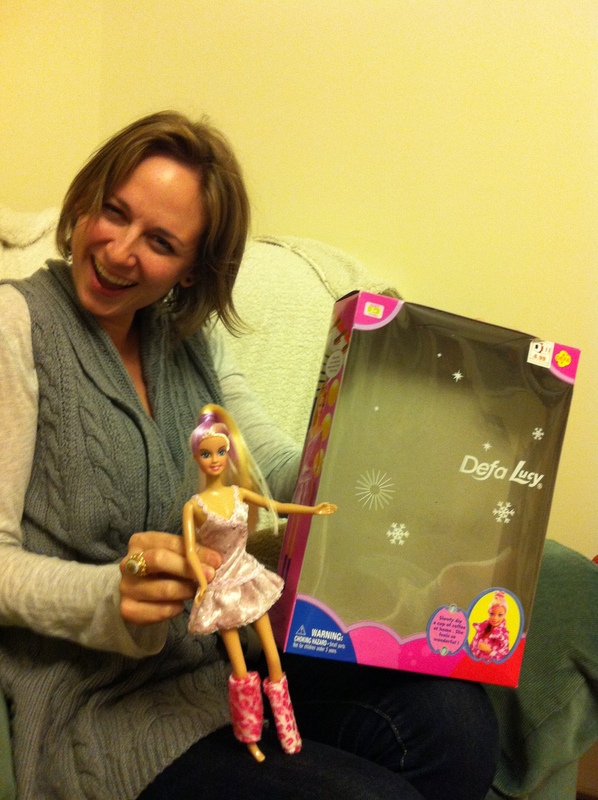 My friend Molly (pictured below) is hilarious. If you’ve not seen her website, check out My Precious Roommate! 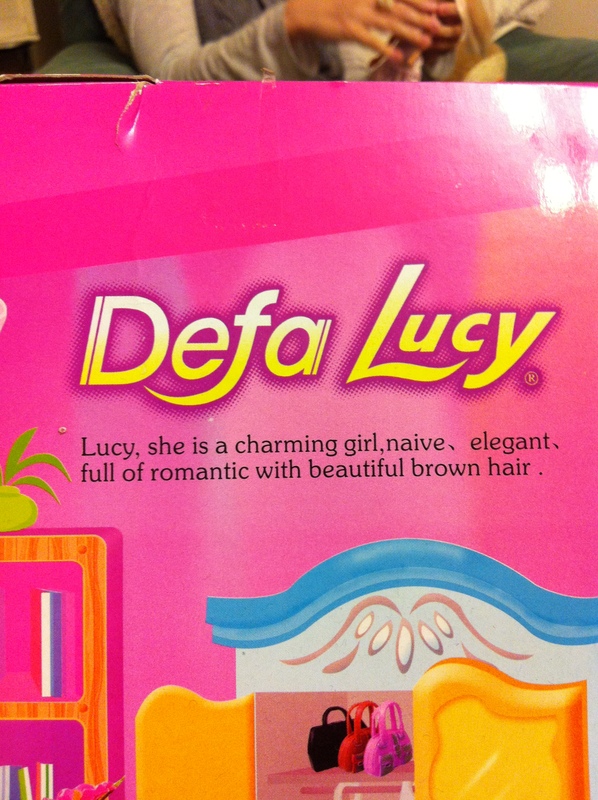 Well, the marketing guys in charge of Defa Lucy were clearly translating from their own language to ours… (First off – “Defa Lucy”? What?) 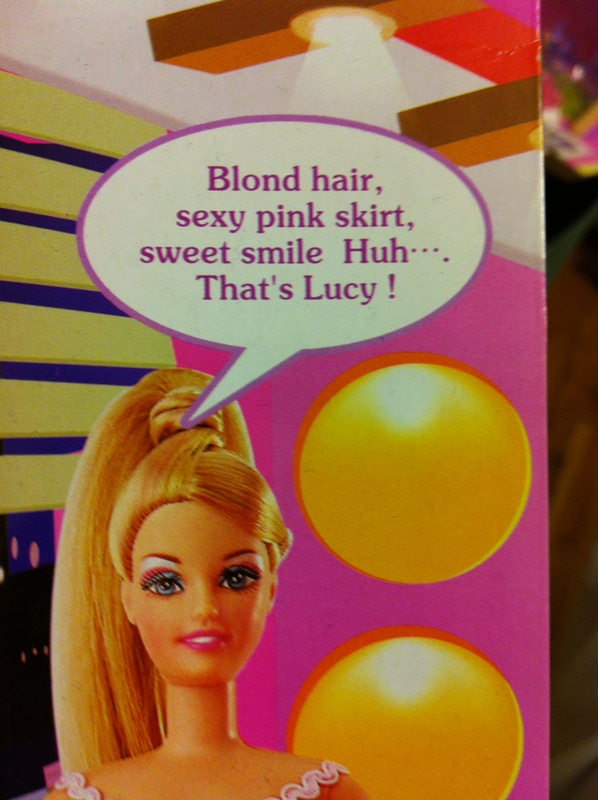 The best part of the whole thing is how fun they make Defa Lucy sound! Apparently, she’s got a big heart… …because she’s just FULL of romantic. (And I’m pretty sure her hair is blonde…but who’s gonna nitpick?) And who doesn’t want a friend who is elegant AND naive?! 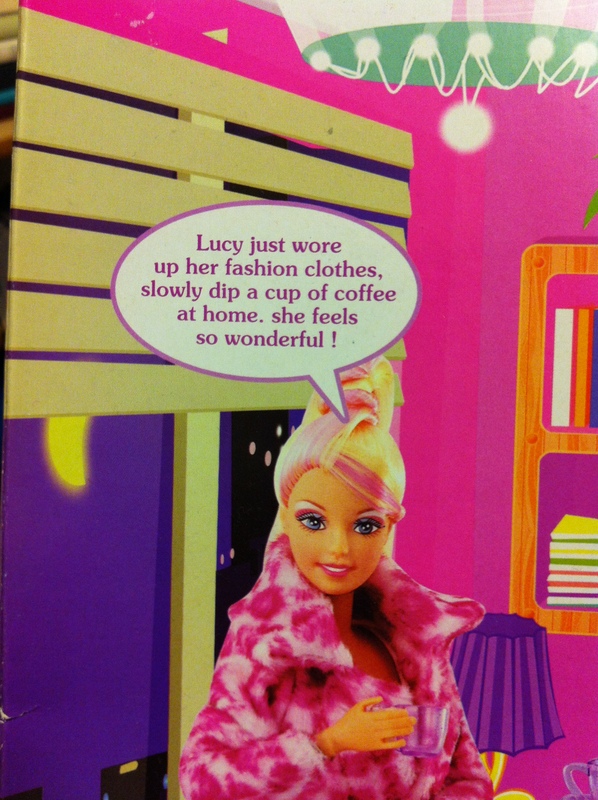 Still, Defa Lucy knows how to have fun – …there’s nothing like slowly dipping a nice cup of coffee after you’ve worn up your fashion clothes! I may slowly dip a cup of coffee myself, later.